On Monday the BFS Boys Varsity Volleyball team defeated Evangel Christian 3-0 (25-12, 25-12, 25-20) in the PSAA Semifinals at the upper gym. The team won in impressive fashion in front of a nice home crowd. Once again, the team continued playing with great intensity, togetherness, focus, and determination. With the victory the team improved its overall record to 16-1 and has advanced to the Championship Game in its first year in league play. The championship game will be played on Tuesday at Horace Mann at 4:30pm against Calhoun. Come out and support the team and the program. Blue Pride!! 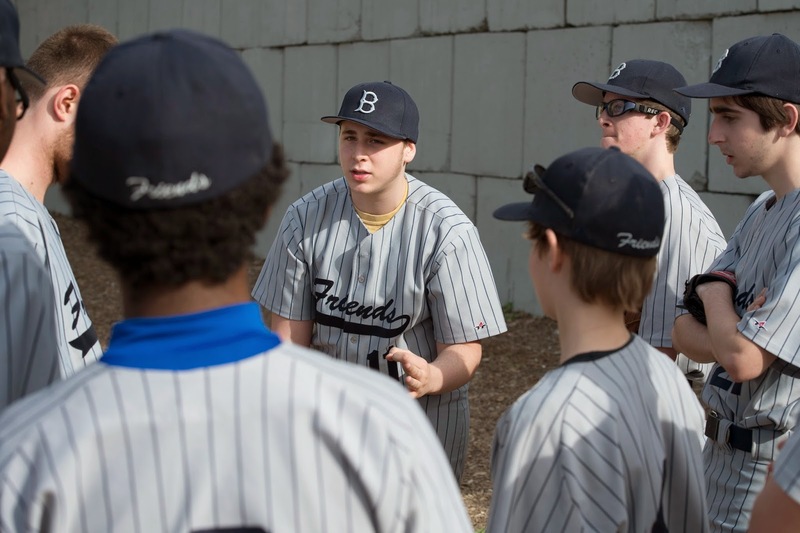 The BFS Boys Varsity Baseball team defeated Leman Prep 14-4 down at Red Hook on a beautiful day. King of the Hills, the Panthers shut the door early on Lehman Prep , capturing an impressive victory. Sophomore Charlie H. racked up eight strikeouts in the Panthers win. In the first start of his high school career, Charlie allowed no earned runs on two hits and four walks over four innings on the hill. The 14 runs is the second highest total for the Panthers this season. The team was led offensively by the teams co-captains senior Adam G. and junior Adam W. The two combined to go 3 for 6 with a 2B, 3B, 2BB, 5 runs and 7 RBI. It was a beautiful day out on the diamond. Blue Pride!! On Tuesday the BFS Boys Varsity Volleyball team defeated Calhoun 3-1 (26-24, 21-25, 25-11, 25-20) in the PSAA Finals at Horace Mann. We are the Champions…. 17-1….Congrats goes out to the team, the coaches, the mangers. Thanks to all the fans for their support. Blue Pride Runs Deep, Friends Forever. From BFS: Riding back on the bus with the victorious Brooklyn Friends volleyball team now! They played incredibly well to bring home the championship!! After trading tight sets to begin the match, our team turned up the intensity and demolished Calhoun in the third set, 25-11, in a nice, spirited, and thoroughly ruthless fashion. In the fourth and final set, BFS continued their excellent work and finished off the exciting match with stellar plays all around. To Queen’s “We are the Champions”, our team received their trophies, with junior Thomas C. receiving MVP awards for the regular season and tournament. Coach Felix Alberto was named Coach of the Year. Please congratulation them. They represented BFS incredibly well. Blue Pride!! Boys Varsity Volleyball PSAA 2014 Champions! 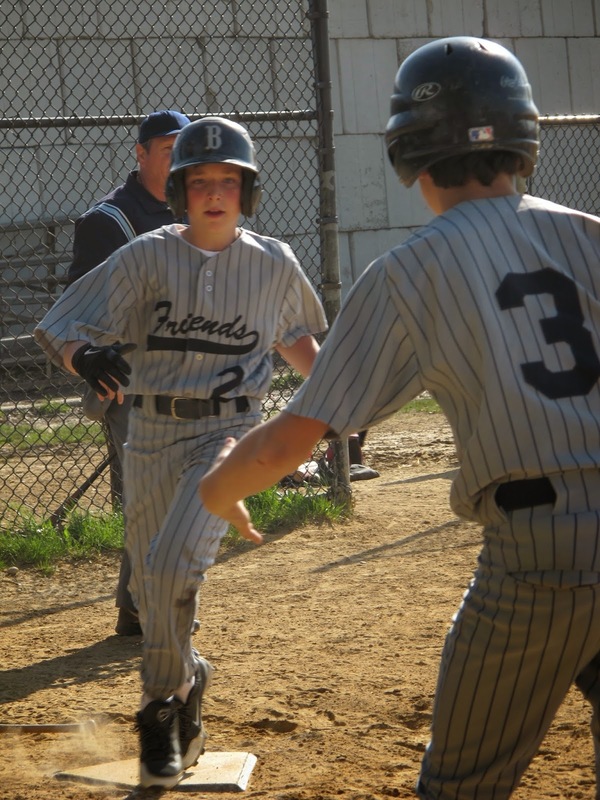 On Wednesday the BFS Boys Varsity Baseball team closed out the spring 2014 season with a 6-0 victory over LREI down at Red Hook. All is Wells and Good for BFS. The team closed out the season with a 6-7 overall record as the Panthers rolled to the shutout win. Adam W. (Jr.) powered the Panthers at the plate and on the rubber, willing the Panthers to the victory. Right at the start of the game, Adam racked up three RBIs on a bases clearing triple in the bottom of the first inning. The Panthers got the win thanks in large part to Adam’s dominant, 10-strikeout performance. The Panthers’ pitcher gave up just two hits over five shutout innings. Five runs in the opening three innings allowed the Panthers to easily put away their opponent. Along with Adam’s three-run triple in the first inning the team was boosted by a RBI triple by freshman Miles N. in the second inning. Blue Pride!! The 2013-14 Season comes to an end….See you next year. Blue Pride! !